At 14:09 hours on the afternoon of October 29th, 2014 the Albertson Fire Company was dispatched to a report of a car versus building at Rite Aid located at 1140 Willis Avenue off of Netz Place. The Williston Park Fire Department was also notified of the accident and requested for one ambulance to the scene. When units arrived on scene they were met with a two vehicle accident that had taken place on Willis Avenue. As a result of the accident a Honda sport utility vehicle careened off the roadway and came in contact with the pharmacy causing minor damage to the building. Firefighters secured both vehicles and treated at least one aided on scene. 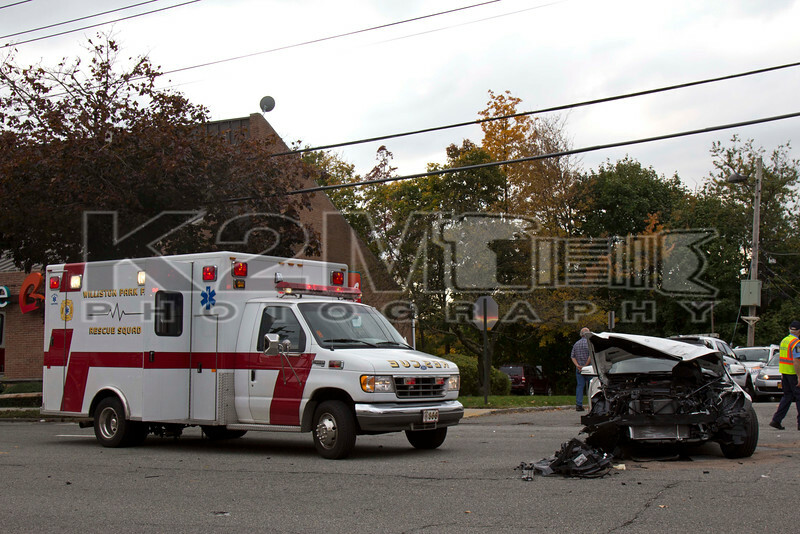 The Williston Park Fire Department had Ambulance 866 on the scene of the Wednesday afternoon accident. Williston Park Chief of Department Gary Smithing  oversaw operations on the scene along with Assistant Chief Sais .